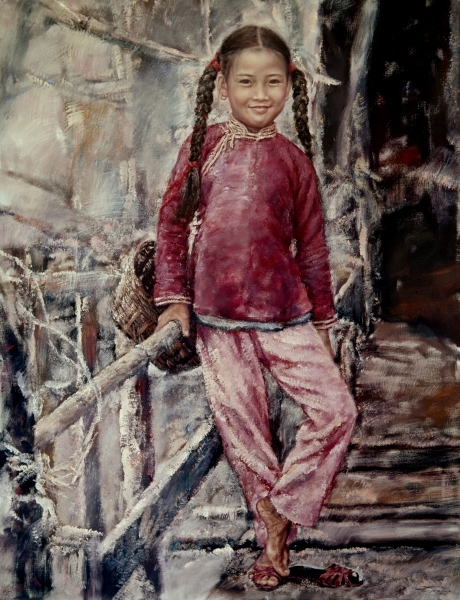 Description: A girl stands on a bridge that leads to her boat. Although the bridge is of a primitive design and construction, she feels safe and relaxed on it as she pauses on the way home. The artist successfully combines realism and abstractionism in this painting.